FINLAND DEADBEAT WATCH: YOUNG FINNS REJECTING WORK, SAY MENIAL JOBS NOT ‘REWARDING ENOUGH’……. – The Tundra Tabloids……. 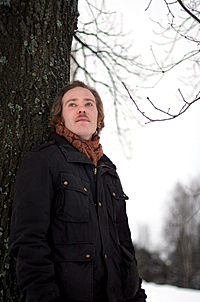 FINLAND DEADBEAT WATCH: YOUNG FINNS REJECTING WORK, SAY MENIAL JOBS NOT ‘REWARDING ENOUGH’……. End the subsidies, and you’ll soon find out how rewarding work will be. 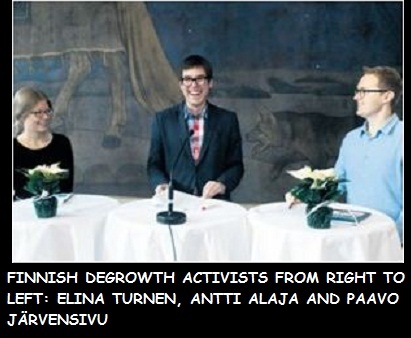 The Finn mentioned in the article, Viljami Wager, belongs to the ”Degrowth’ movement in Finland who want to turn Finland back into the backwater state it was before the 20th century. Wager is an ‘artist’ who purposely lives off the taxpayers’ dime, doodling, and going to the social welfare office to ensure that his entitlements keep flowing. In other words, he’s a real deadbeat. Did you get that? Shrink the economic pie and take out as many cuts from it that you possibly can, and there’ll be work for all! Nirvana! This is what the radicalized universities have unleashed upon society, a bunch of moronic, leftist deadbeats. Un-freaking-believable. NOTE: What’s even more scary, is to hear Finnish politicians talking about share-time work policies, where workers share their positions with the unemployed. Real big time loser political hacks, who haven’t a clue on how to grow an economy. Next Post Next Post BLOOD SOAKED SYRIAN REGIME SET TO RETAIN SEAT ON UNHRC……. First, I wonder what the young men and women who fought for Finland against the Soviet Union at great sacrifice in 1940 -1942 would have thought about losers and bludgers like Viljami Wager. Second, the downward spiral of the quality of university graduates from about 1960 -1965 onwards (especially in the Humanities and Social Sciences) has led to a generation of educated (sic) public sector employees who just cannot think or discuss current social issues with any semblance of logic or rigor.